I have lived in a few cities where people rely on metros, subways or underground tubes (whatever they call it) to get to their workplace or whenever they need to go somewhere. However, it was still a big surprise to me when I heard that in Medellin there is an actual Metro Culture. I wanted to experience it and learn more about it but I had limited time in Medellin. So I chose to ride it as part of a tour, which would allow me to really learn about Medellin’s Metro Culture. Travel-Medellin tour company appeared on my search for unique city tours of Medellin. They offer several tours but I chose a private tour of the city (which I did as well – that’s Part 2) and the one that really allows you to dive deep into the Metro-Culture of the city, this one was also private. Arthur and Eliana (husband and wife team) were my guides. They picked me up at my hotel and the fun began! I have to say, one of the reasons why this was a lot of fun was because of them. We connected really quickly and that connection made all the difference. They are both very energetic and excited about everything involving this city. 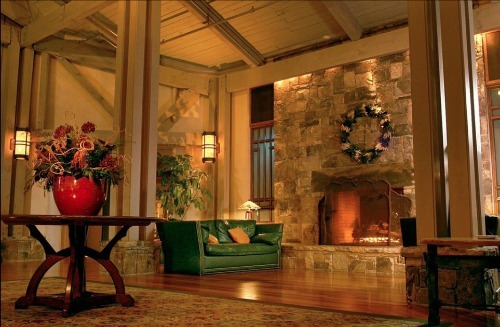 I love being around people who are just as into the place that I’m visiting as I am. – The Medellin metro opened on November 30, 1995. – This is the only metro system in Colombia. – The Medellín Metro became a symbol of the city. – The Metro helped to bridge the poor part of the city and the rich side because it crosses social walls between districts. 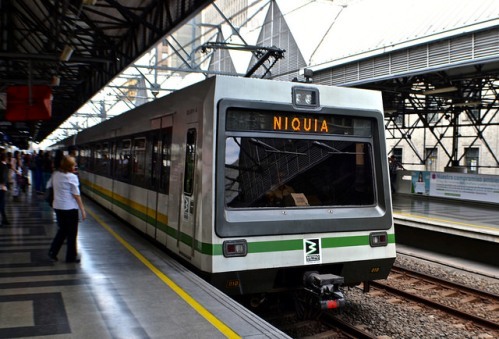 – The metro of Medellin has two lines: Line A which is 23.3 km long and Line B which is 5.6 km long. 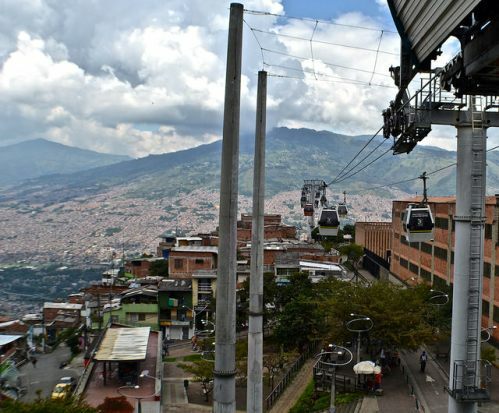 – There is an aerial cable car system or Metrocable that supplements the metro system. – The metro cable has three lines and up to 7 stations. – The first line of the metro cable was inaugurated in 2004. 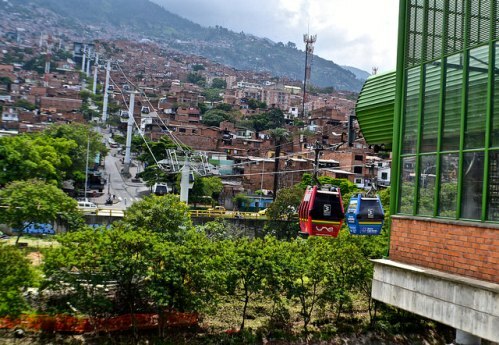 The main reason why the Metro is such an important aspect of the society of Medellin is because it has brought hope to the poorer communities of the city. Medellin has grown exponentially in the past two decades. It has grown so fast that it is now growing toward the hills that surround the valley. The comunas (the poor neighborhoods) are moving further and further up these hills. This makes it almost impossible for them to connect with the city where most of the jobs are. The local government wanted to give people from comunas better opportunities and that’s how the idea of creating the metro cable was born. What truly fascinated me was the fact that the metro cars are cleaner and better maintained that what would be expected from a developing country with gangs and rebellious youth wants to show who is boss. It even has a microphone system that every three to four minutes makes announcements asking to be respectful of one another, to keep the metro clean, to show your love for the metro, and other positive messages. And it shows! From what I was able to see, Medellin is a city of pride and it spills over to everything the Paisas do. It even influences you as a visitor, it made me feel proud of being here and using the system as well.